Episode 376 - Welcome Back Shiva! This week on the show we're all back together finally and we've got a slew of topics for you. We've all seen Black Panther and gush about it in a non spoilery manner, Savrin went by Lush and checked out their trans positivity and support effort, Shiva discusses her Fiesta, Savrin laments Youtube taking his dimes, Thems Fighting Herds being finally released, Billy Graham is dead, and we get a few emails to boot. This week, Savrin & Fuzz are joined by Kyell Gold, furry author extraordinaire, and we discuss our experiences at Furry Fiesta 2018, with brief digressions here and there, and then his experiences visiting the Patreon offices a short while ago. This is probably the most focused episode we've ever recorded, honestly. This week, Savrin and Fuzz have a bunch of topics for a pretty quick show. -Seize the Furry Means of Production! 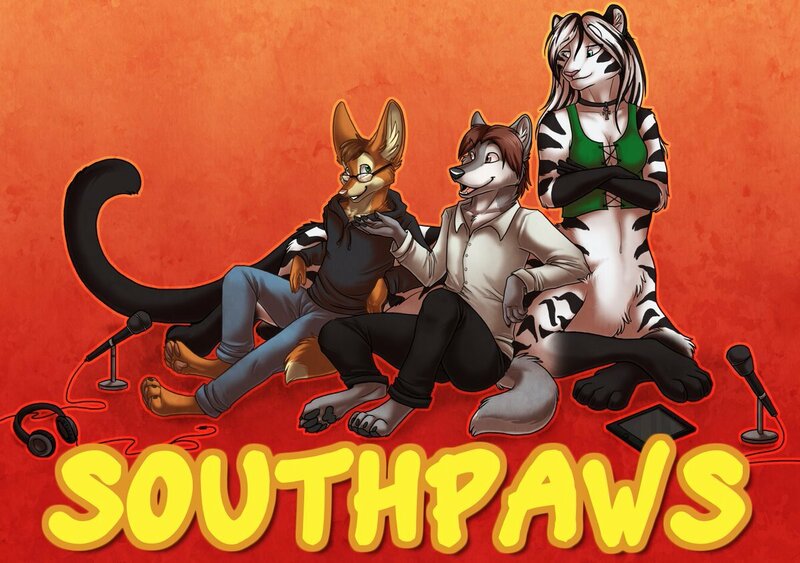 -A Fursuit Collective would be cool. -A convention withdrawing the invitation to perform from someone who acted like a massive dumbass online is, in fact, Extremely Professional. -San Fransisco is wiping away a whole bunch of weed convictions, yay! -Savrin is on the verge of being old. -Podcast naming sometimes doesn’t matter..